Morocco and the World Bank recently signed a $ 200 million loan agreement to boost agribusiness value chains and improve the performance of the agricultural sector. Signed by minister of Economy and Finance, Mohamed Boussaid, and director of the World Bank Operations for the Maghreb and Malta, Marie Francoise Marie-Nelly, this agreement is meant to strengthen pillar II of the Plan Maroc Vert (Green Morocco Plan) through improving the competitiveness of the agribusiness industry and enhancing its added value. The aim is also to strengthen the interprofessional federations of the citrus and olive sectors by providing them with technical and financial support to make them open platforms for interprofessional coordination and public-private dialogue in order to develop their value chain. The agreement also aspires to integrate small and medium-sized producers into a fast-growing and demanding agribusiness market through increased investment in food processing facilities, in cooperation with the Agricultural Development Fund. Furthermore, it aims to modernize the management of new wholesale markets and improve access to price information market through information and communication technologies in order to increase the efficiency and transparency of markets in the fruit and vegetable sector. Improving food security and adopting qualitative standards and certification systems, in addition to supporting innovation in the agribusiness industry through the establishment of two centers that offer services to promote technical and commercial development of SMEs wishing to move towards the food processing industry, are also among the objectives of this agreement. 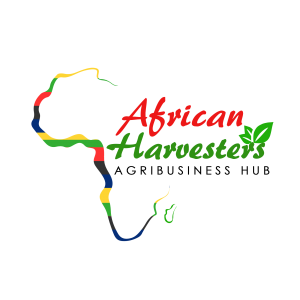 Next articleHappy New Year African Harvesters!